Room blocks have been reserved at several nearby hotels. They are presented here in alphabetical order. Local Map showing locations of these accommodations. Rooms are available for $79.99 + tax, including continental breakfast. For reservations call (541) 485-2727. For reservations call (541) 683-3669. Rooms are available for $72 + tax, including continental breakfast. For reservations call (541) 343-3376. $70 + tax for King or Double, including breakfast. Rooms are available for $75 + tax and up, including breakfast. For reservations call (541) 342-6963‎. Rooms are available for $109 + tax, including breakfast. For reservations call (541) 342-1243. Rooms are available for $99 + tax, including extended continental breakfast. 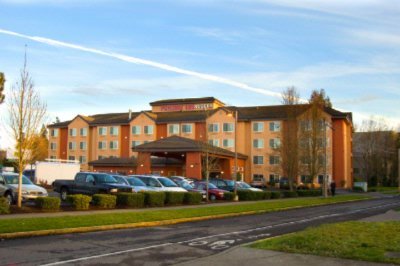 For reservations call (541) 344-0001. $85 + tax, including breakfast. For reservations call (541) 342-4804. Parking is available at the hotels.